QR-codes can come in handy when you want to connect with users of printed documentation. 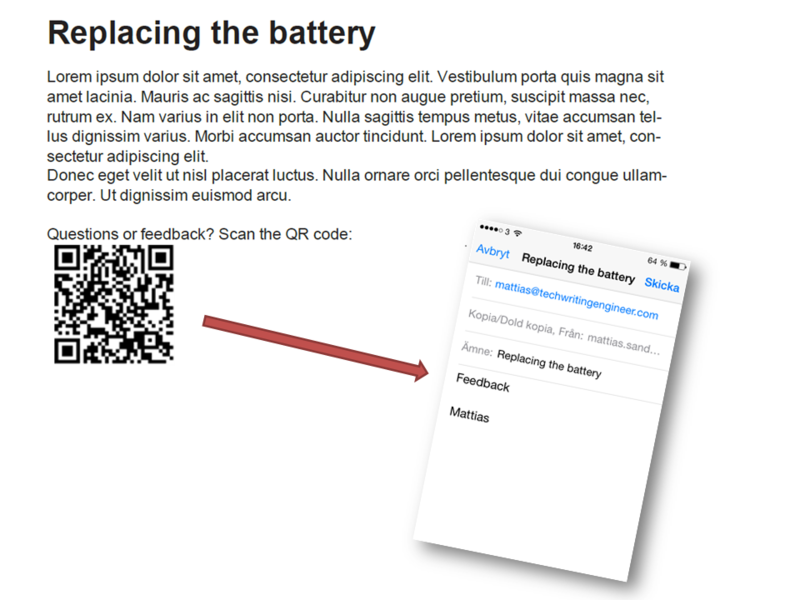 A simple mailto-link in a QR code lets users provide feedback with their smartphones. You can take this one step further by combining QR-codes with variables, for example topic title, page number, target title, or anything else you can put in a variable. Insert the variable(s) just below the QR code. Click here to download the topic file from the screenshot.